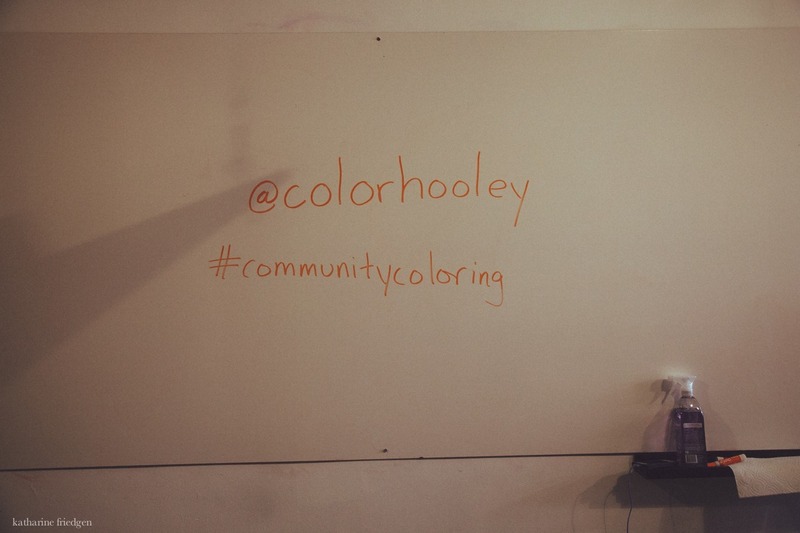 A few weeks back I was invited to participate in Hooley’s community coloring experience. It. was. awesome. 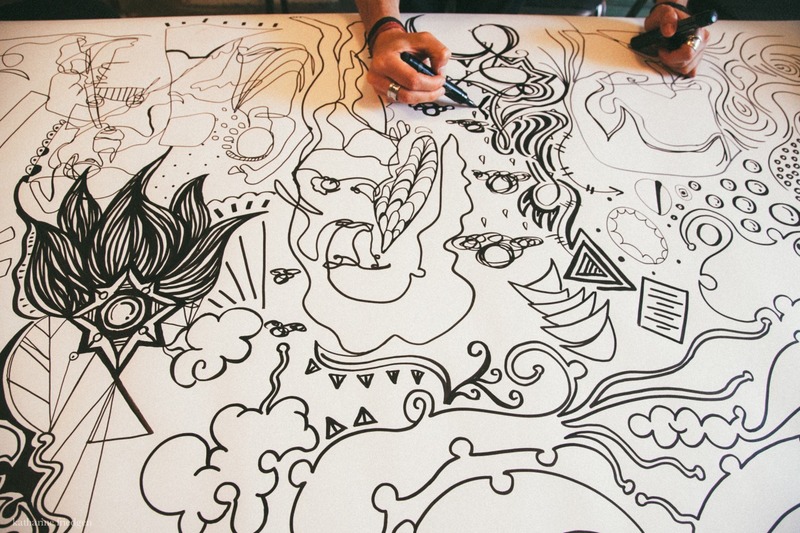 We all just came in, grabbed a pen and chair and just started doodling. Only guideline was to try not to draw something too descriptive. Perfect direction for any artist. Don’t put too many boundaries on the situation, otherwise, we’ll feel trapped. 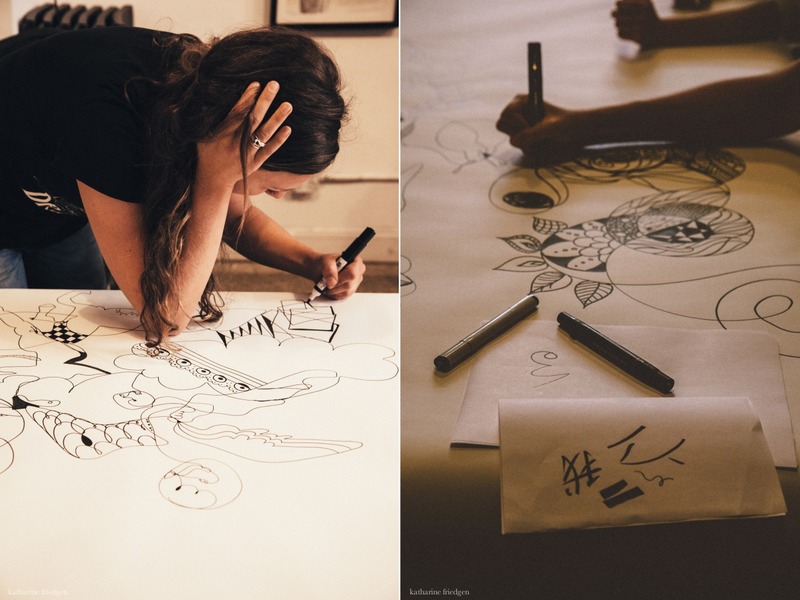 Thus commenced a few happy hours of chatting, listening to music, and drawing to our hearts content. The best part being when we realized we had all sat in one section for a bit too long. One person suggested a ‘Chinese fire drill’ and we all changed seats. This allowed our individual styles of drawing to start to spread and weave through the entire canvas. In the end I find the most interesting parts of this final drawing to be where two different styles meet and how the artists found ways of breaching the gap. Perhaps, the best part about this entire experience is it’s not over. 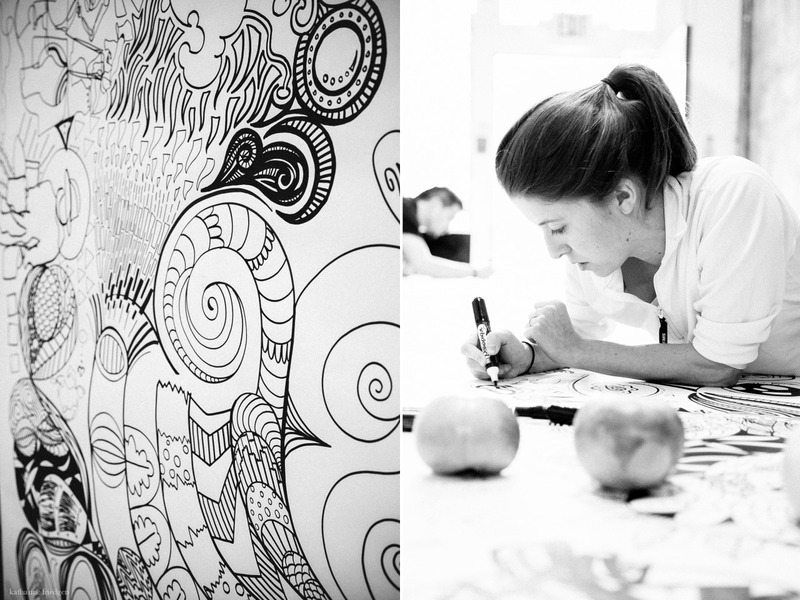 You can come and color in the design on Wednesday, October 15th at Indy Hall. Tickets are $15 and also available at the door. Bring your friends who love to color and those who love to mingle and have a blast.